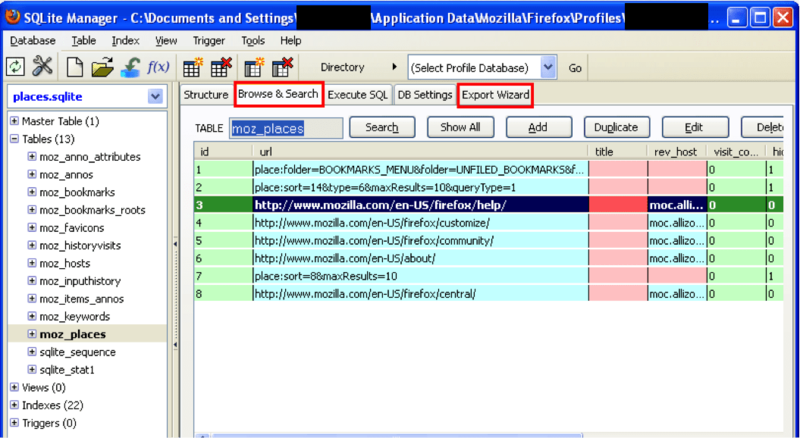 URLs visible within the places.sqlite database file when viewing the file in hex view that are not visible when viewing the file in SQLite Manager or FTK’s viewer. 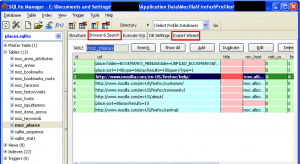 The URLs seen in hex view are relevant to the investigation. 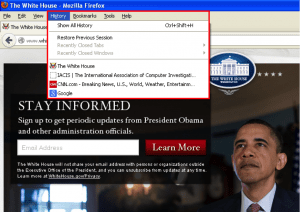 Within a virtual machine running Windows XP SP3 a clean installation of Mozilla Firefox 15.0.1 was installed. 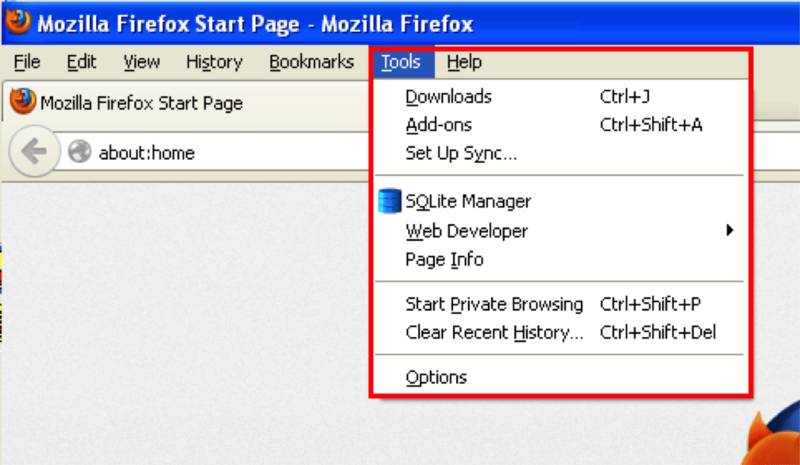 The places.sqlite created upon installation of Firefox was deleted, which forces Firefox to create a new database upon the next time the program is run. 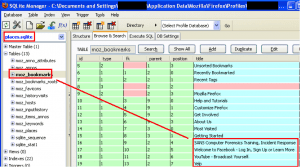 As an overview, SQLite Manager is a great tool for viewing these database files. To search records, click on the “Browse & Search” tab. 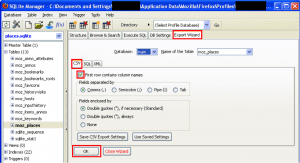 Although you can directly query the SQLite tables this way, unless you are familiar with SQL searches, I recommend exporting the data and using Excel. 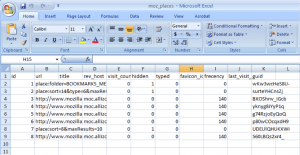 To better search and review information, export the data to a CSV file. 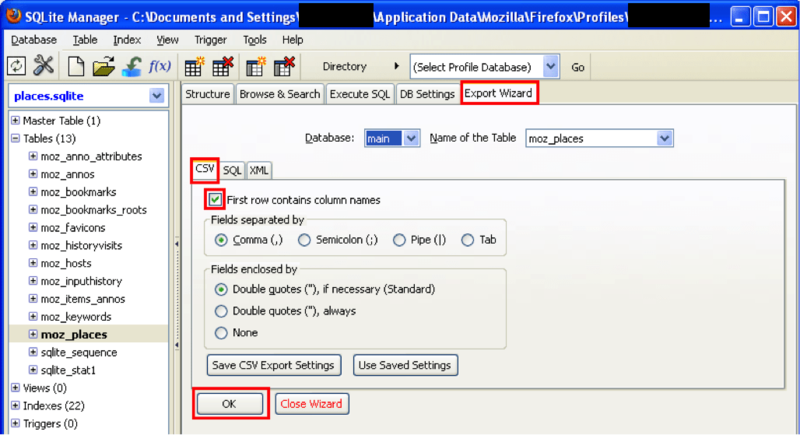 Once you click the “Export Wizard” tab, make sure to check the box “First row contains column names” and then select how you want to export the data. Once you have selected the appropriate settings, click “OK” and you should receive a dialog box stating that your records have been exported. This file will now have to be saved as an Excel workbook since this file is no longer compatible the CSV format. 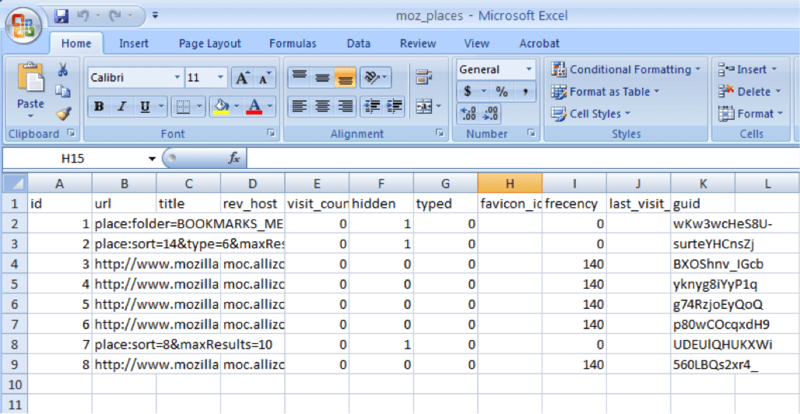 Below is a view of the places.sqlite file while viewing it in FTK. 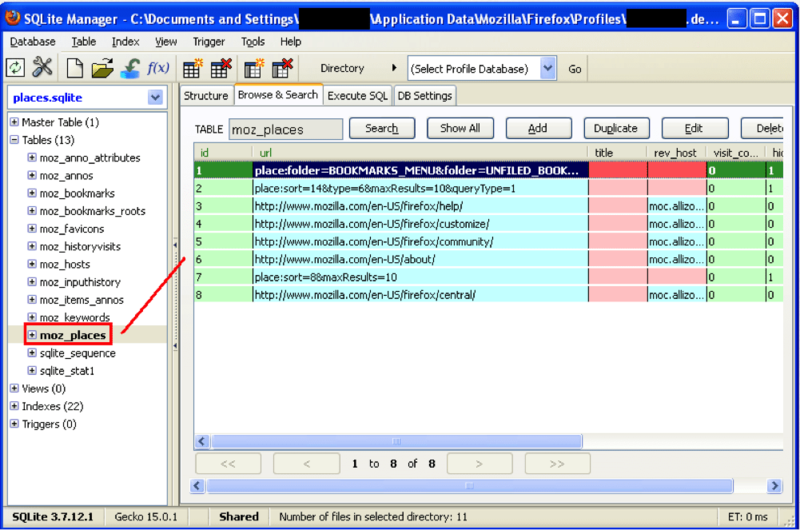 Notice the same information is seen below as what we have seen in the SQLite Manager. After reviewing the entire file, no other entries were located. 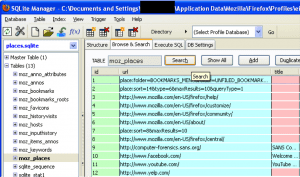 Note – the places.sqlite file is locked by the first application that accesses it. 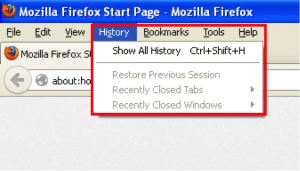 This is important to note during testing because it will alter the normal operation of Firefox. 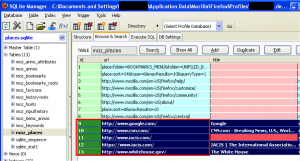 For example, if the places.sqlite file is open within FTK Imager and then Firefox is opened, Firefox will act normal, however no data is actually recorded in the places.sqlite file since FTK Imager has locked it. SQLite Manager showed the exact same information as expected. 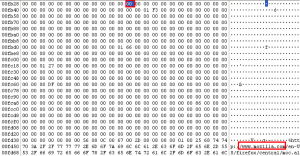 When viewing the places.sqlite file in FTK Imager, the four entries were also seen. 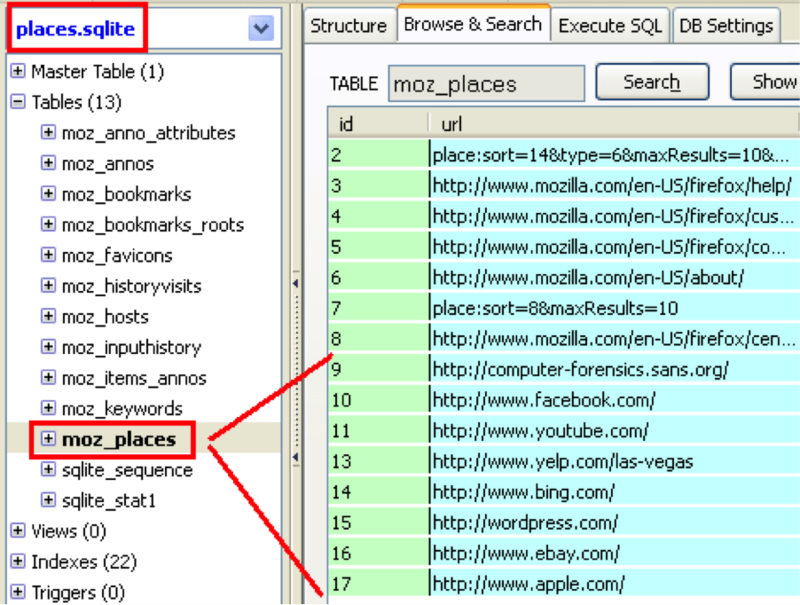 The entire places.sqlite file was viewed and no abnormal entries were located. 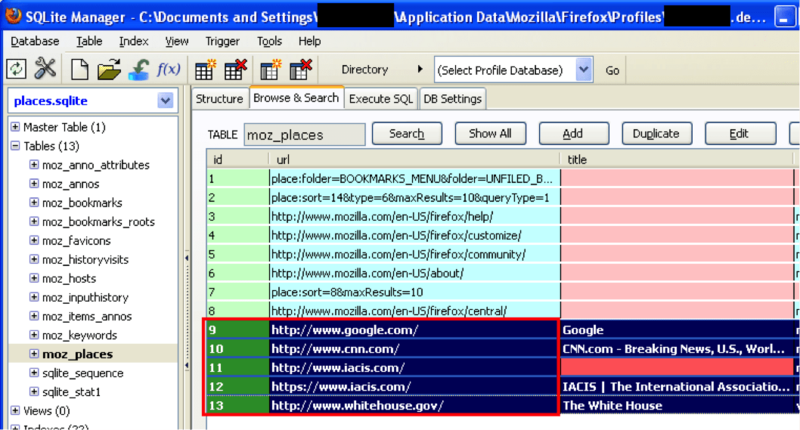 The IACIS.com URL begins at decimal offset 64308. This is important, keep note of this for later. With the exception of a few bytes of data, all areas that used to contain the URL’s I had visited had been overwritten with zeros. At offset 64308 where my cursor was (shown above in small red box), you can see that iacis.com is gone. 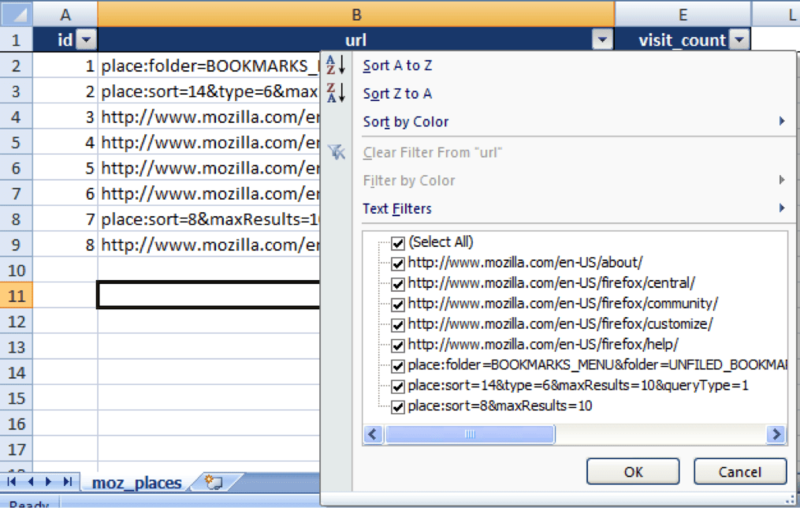 The next test was checking how Private Browsing mode in Firefox would affect the entries in the places.sqlite file. 1. 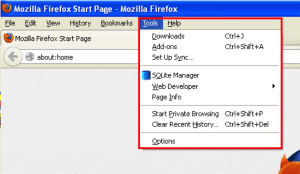 Deleted places.sqlite file to force Firefox to build a new one. As expected, all of the websites that were visited in normal browsing mode are shown and none of the websites visiting in Private Browsing mode are visible. 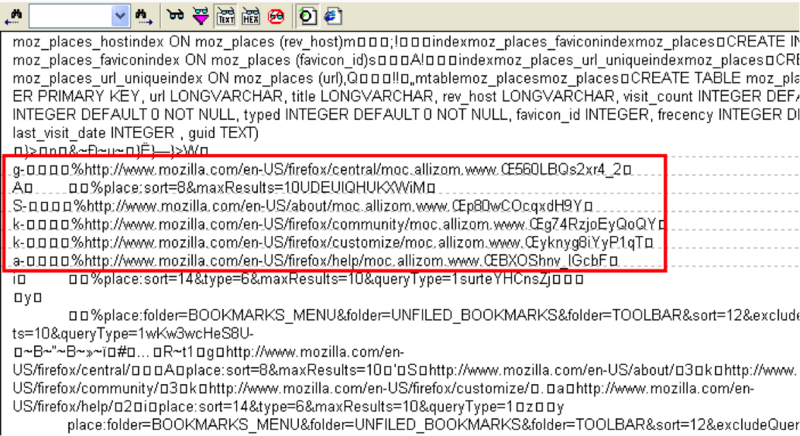 Firefox was closed and the places.sqlite was viewed in FTK Imager. 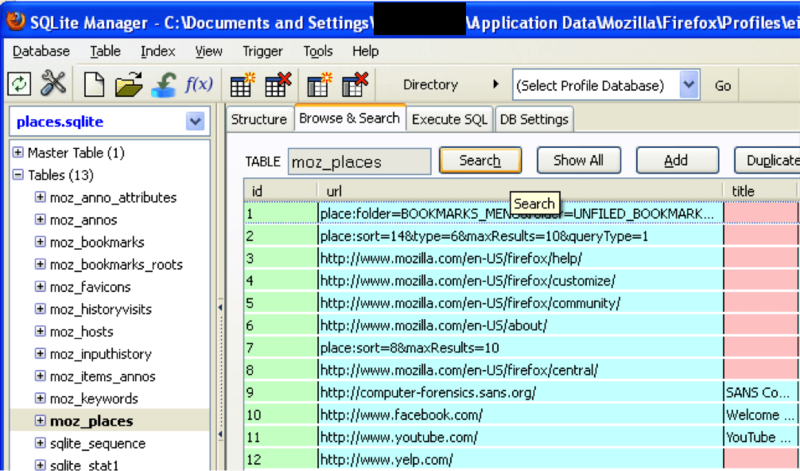 The entire places.sqlite file was viewed in hex for any other remnants or evidence of the websites viewed in Private Browsing mode and nothing was located. 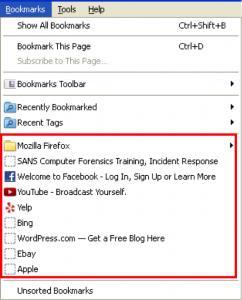 At this point it has been determined that the URLs found in the original investigation must not have been from a Private Browsing session and the history must not have been cleared from Firefox before the forensic examination was conducted. 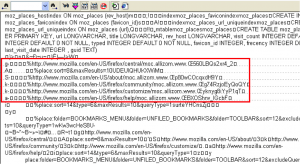 The only thing left to check was how bookmarks interacted with the places.sqlite file. 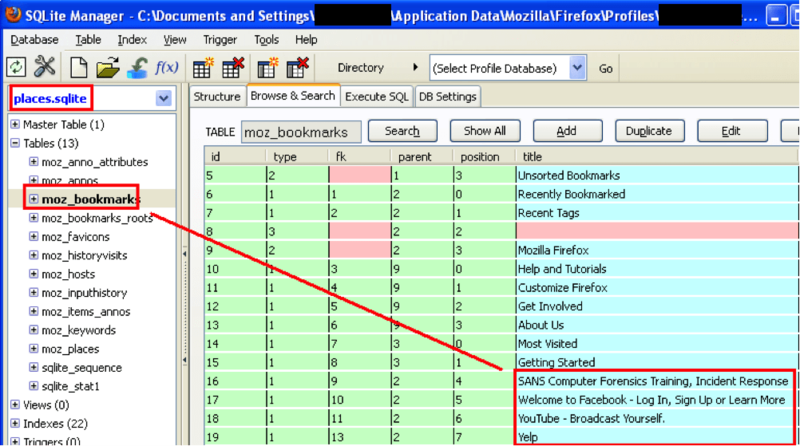 It was determined that when a bookmark is created in Firefox during normal browsing mode, it does make an entry into the places.sqlite database. 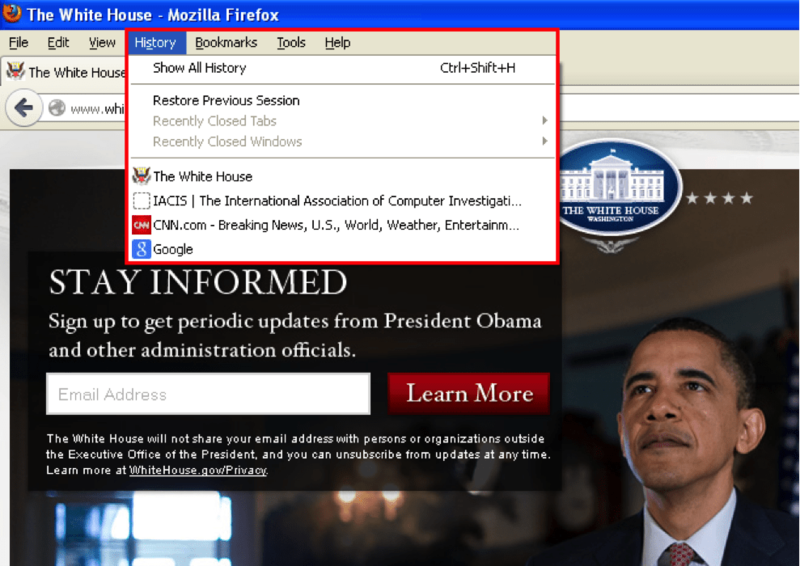 The original four URLs were navigated back to and bookmarked. 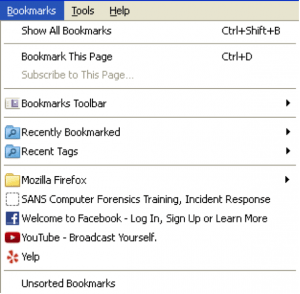 The bookmarks start at decimal offset 58686. 3. 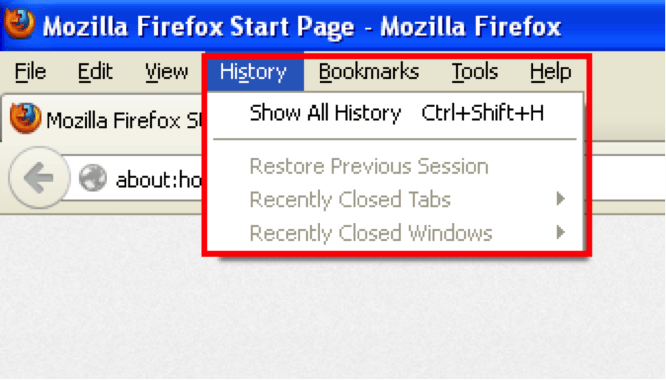 Firefox was closed and re-launched. 4. 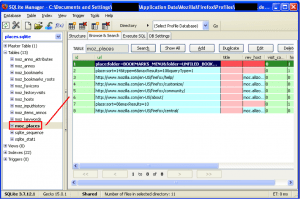 SQLite Manager was launched. This shows that even in Private Browsing, if a URL is bookmarked, it will enter the URL into the places.sqlite file. 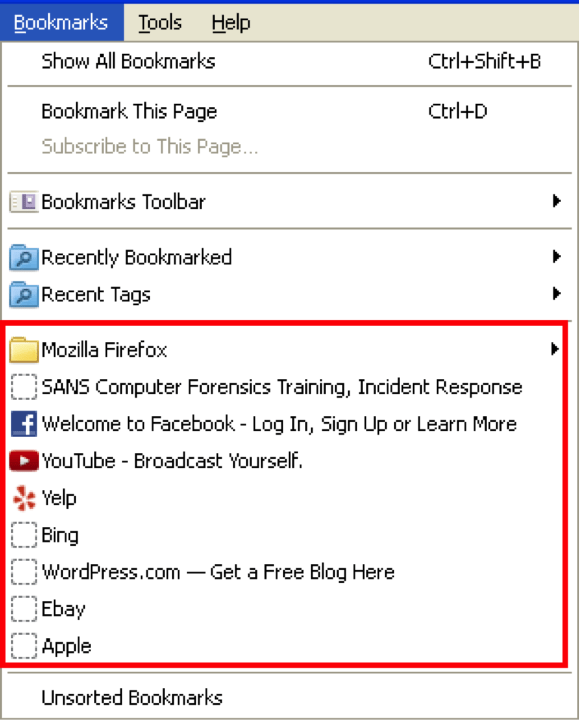 The bing.com bookmark entry was also shown but wouldn’t fit in the same screenshot. 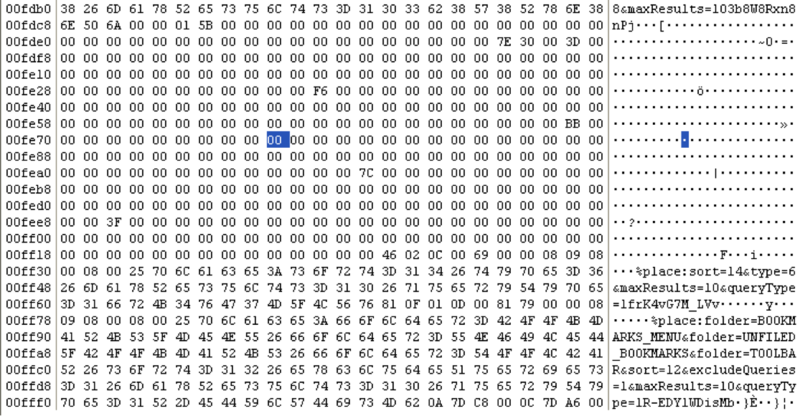 The bookmark for apple.com was located at decimal offset 65145. 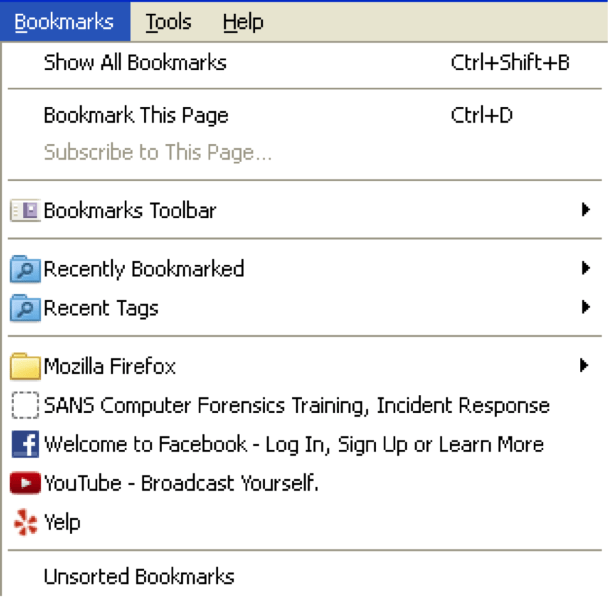 In the bookmarks table, only the four remaining bookmarks are shown. You can see the URL for apple.com up above the original offset (highlighted in blue). 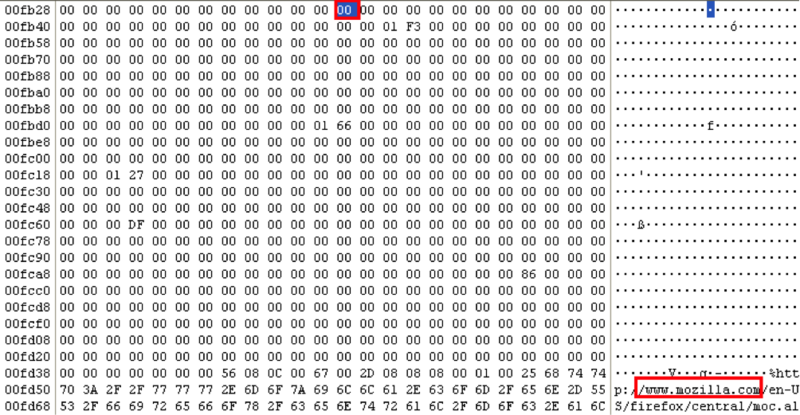 The blue highlighted area is decimal offset 65145 again, showing that all of the old bookmark data is now overwritten. 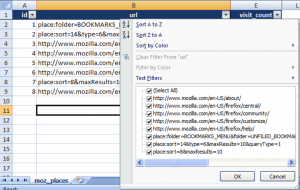 Bookmarking in Firefox, even in Private Browsing will create entries in the places.sqlite file. 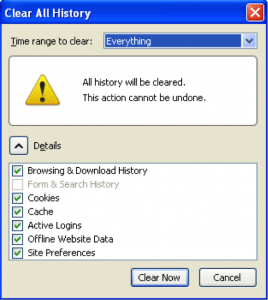 History is overwritten in the places.sqlite at the completion of a browsing session in Private Browsing mode, or anytime a user clicks Tools>Clear Recent History. 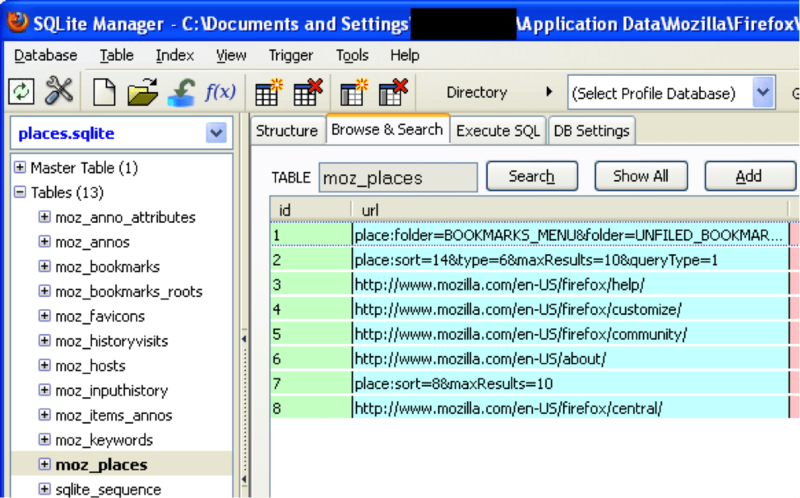 If bookmarks are deleted, they are immediately removed from the moz_bookmarks table in the places.sqlite database. 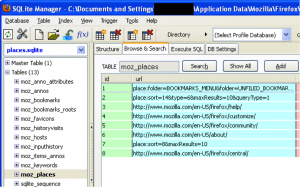 If bookmarks are deleted, they remain in the moz_places table in the places.sqlite database and are available to be recovered until they are overwritten. 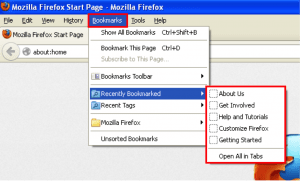 Deleted bookmark data will be overwritten if the user clicks Tools>Clear Recent History after deleting the bookmarks. 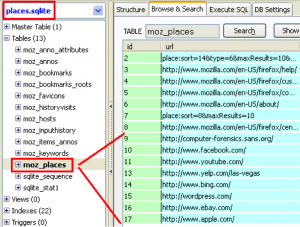 In this particular investigation it was my opinion that the user had at one time bookmarked the URLs that were located in the hex view of the places.sqlite file but not visible in SQLite Manager or Firefox’s native view. 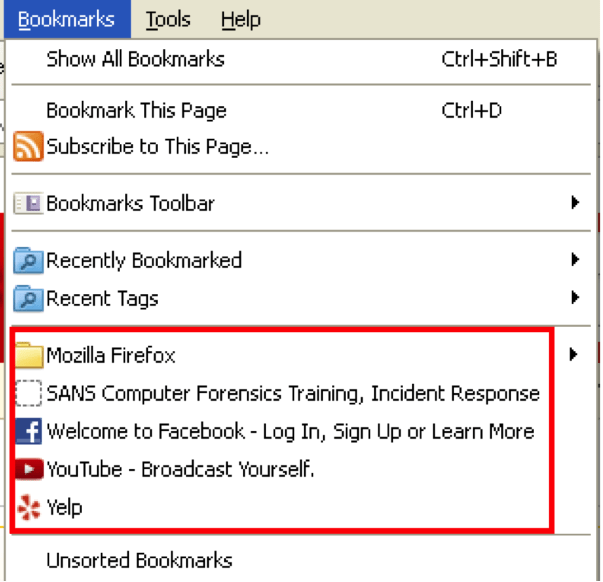 The user deleted the bookmarks of the websites in question prior to turning over the computer, however did not clear their recent history after deleting the bookmarks, allowing them to be recovered. 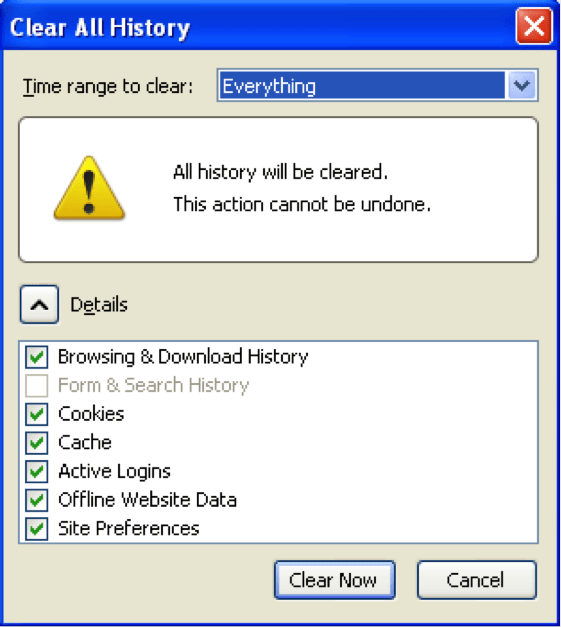 This finding may show additional intent, not only that websites of interest were once bookmarked by the user, but also there was some attempt to “clean up” the computer before the examination (especially since many non-relevant bookmarks remained and only a select few were deleted). 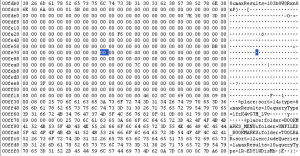 In this particular investigation, the deleted bookmark entries correspond with thousands of deleted images recovered from unallocated space as well as orphan files located during the exam. This entry was posted in Digital Forensics and tagged Browser Forensics, Digital Forensics, Internet Investigations. Bookmark the permalink.